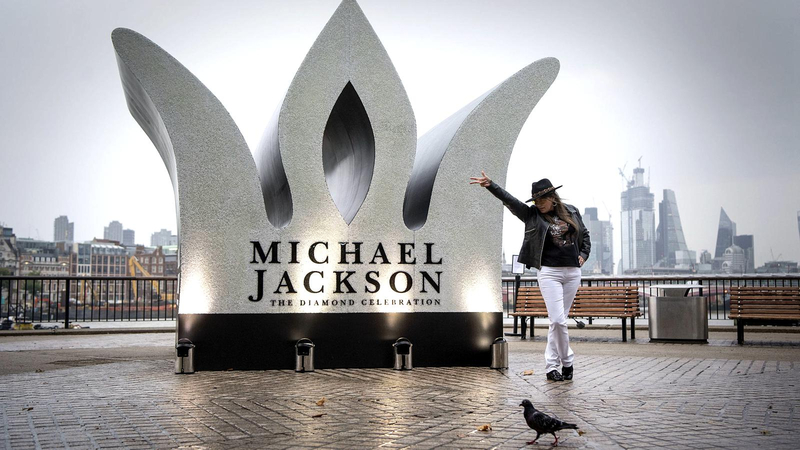 Fans of Michael Jackson honoured the “King of Pop” on what would have been his 60th birthday on Wednesday by gathering at a temporary monument in the shape of a crown in his respect in London. Braving the rain, fans imitated his famed dance and moonwalk moves around the 13-foot (4 metre) white, sparkling crown erected by record label Sony Music on the south bank of the River Thames. Jackson, famed for hits like “Bad” and “Beat It”, had been rehearsing for a series of comeback concerts scheduled in London before his sudden death in 2009 at the age of 50.